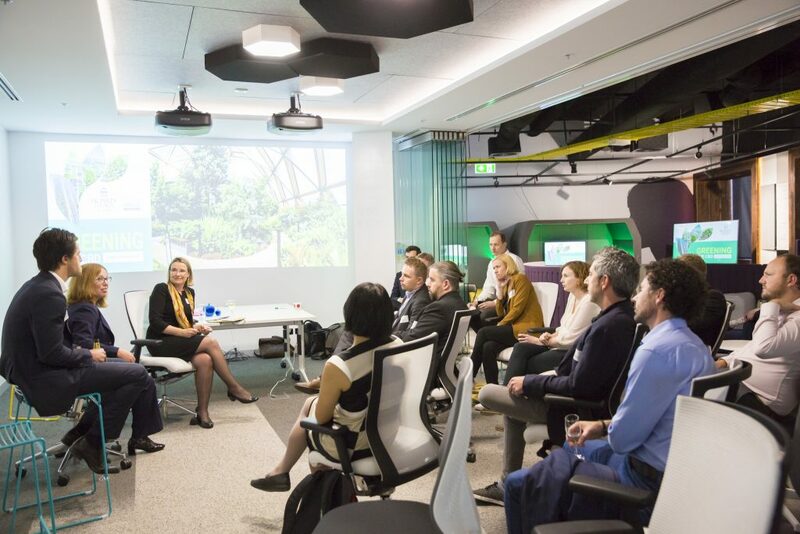 On Thursday April 12th 2018, the Property Council of Australia‘s Future Trends and Innovations Committee held their first event of the year. The theme of the evening was Greening the CBD: Lessons from Innovators. Foy’s Arcade was happy to go ‘Green’ for the night, with ISPT‘s own Erin Donnellon as the vibrant MC for the evening, introducing our speakers, sponsors and live polls throughout the night. The event was kicked off with a Case Study from New York, depicting the opportunities and challenges in the creation of a rooftop garden in NYC. You can re-watch the Case Study here. 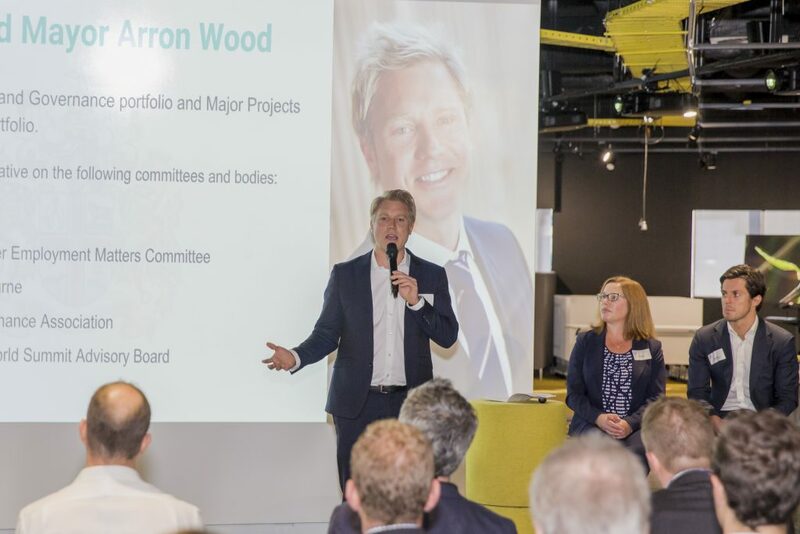 Our keynote speaker for the event was none other than Arron Wood, acting Lord Mayor for the City of Melbourne. 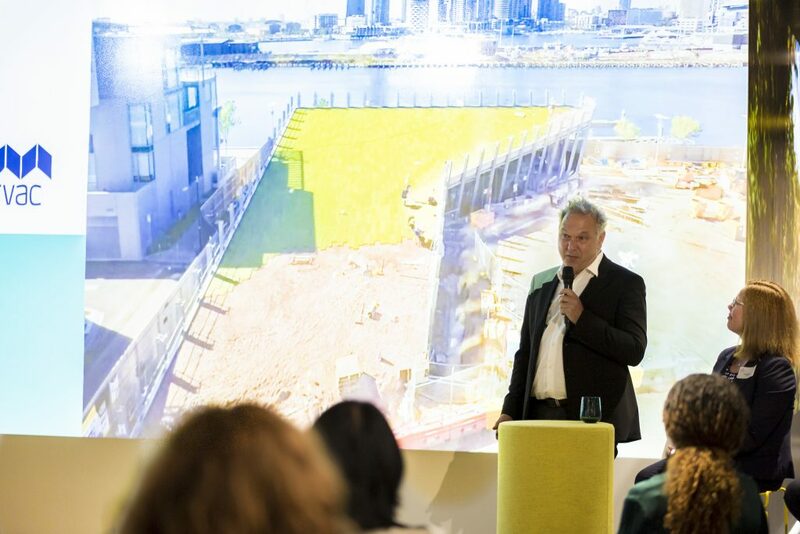 Councillor Wood is a respected sustainability and environmental consultant and spoke about the City of Melbourne’s future plans for the CBD and how attendees can become involved. 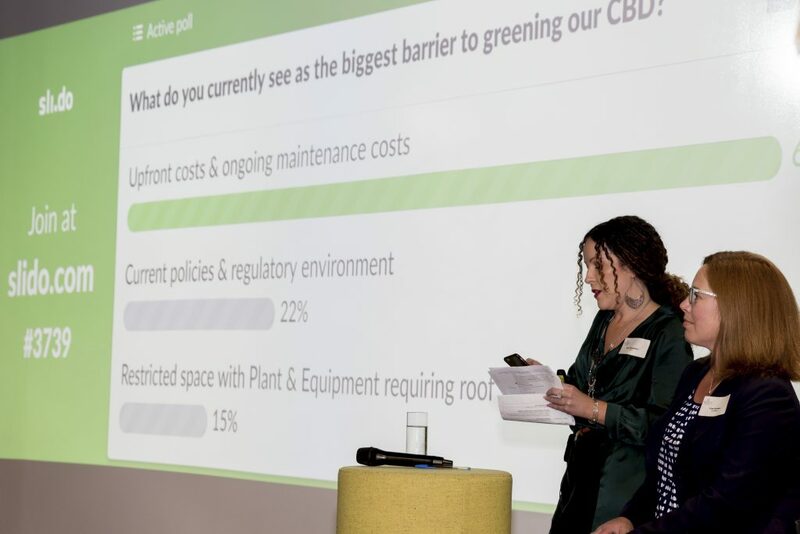 The following speaker was Lisa Gordon of Lendlease, who spoke about the new Melbourne Quarter, which will become Melbourne’s greenest city precinct. She offered insight into the challenges of the project but how it will become a hub for the public and tenants alike. 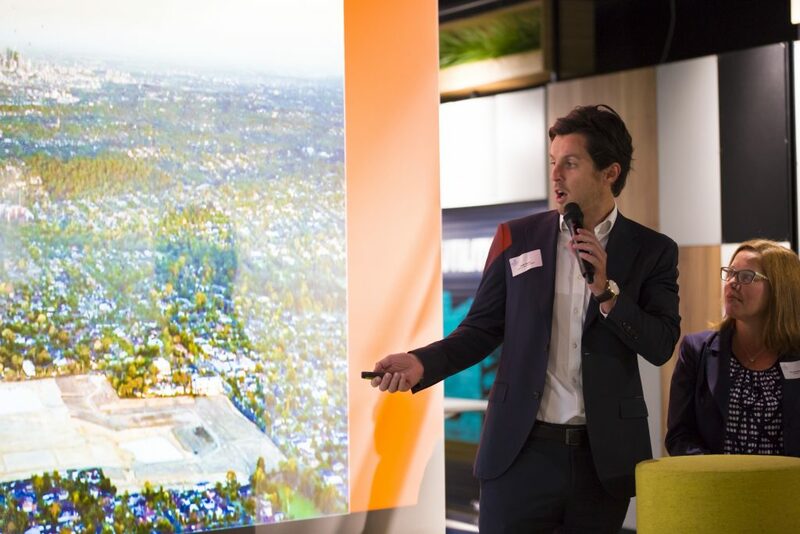 Jack Davis of Frasers Property continued with the second case study covering the regeneration of Burwood Brickworks. He provided an incredible insight to a project that’s vision was changed completely by ‘fate’. When Burwood Brickworks is finished it will be among the worlds most sustainable Shopping Centres. Geoff Heard, the Managing Director of Fytogreen gave us an overview of their extensive portfolio of ecological sustainable vertical gardens, roof gardens and green facades. He also spoke about the maintenance and considerations needed when choosing to develop an install green facades into a building project. Our final speaker was the Design Director of Mirvac, Michael Wiener who discussed the grass roof at Mirvac’s The Wharf Club. He walked the audience through timeline of the project, including hurdles and pushbacks but ultimately finishing with the benefits of their creation since completion. 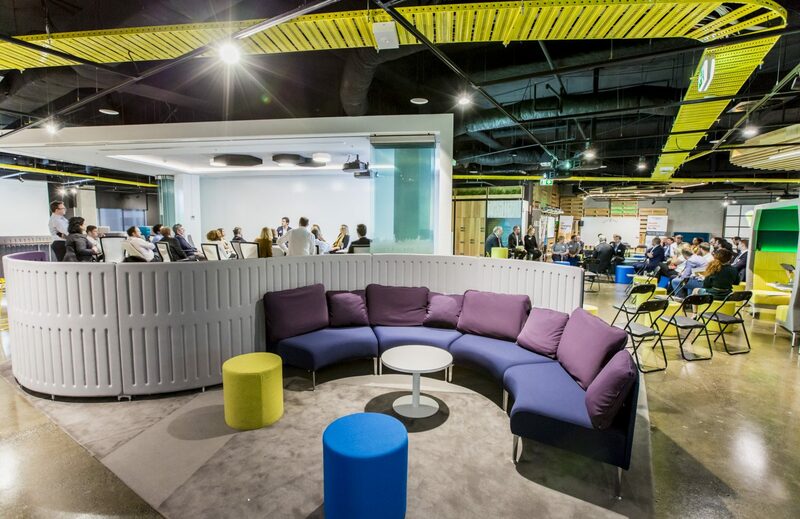 Next, our audience broke out into two parallel workshops hosted in pairs by our speakers with Lisa Gordon (Lendlease) and Jack Davis (Frasers Property), and Geoff Heard (Fytogreen) and Michael Wiener (Mirvac) discussing the presented Case Studies. The groups re-joined for a panel Q&A and to review the poll results. To close the evening, the leading sponsor of the night ARUP, made a donation to Property Industry Foundation (PIF) on behalf of our speakers as a non-traditional but thoughtful Thank You gift. 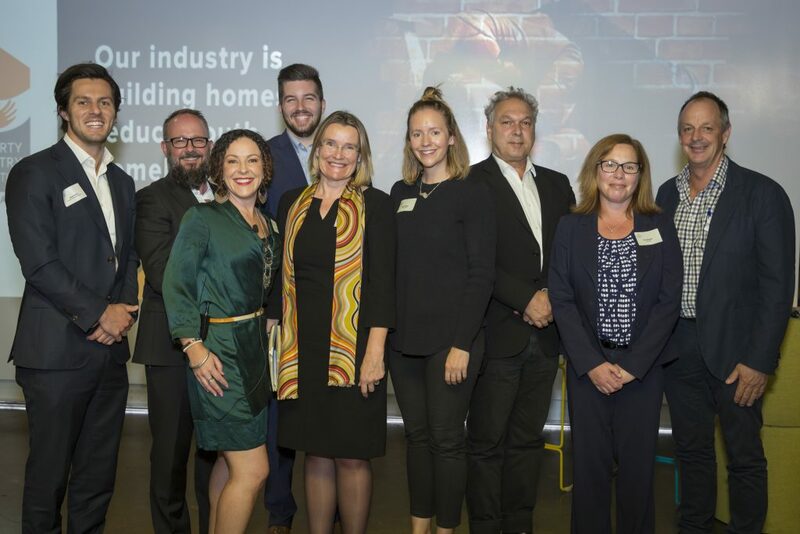 Foy’s Arcade would also like to thank the Property Council of Australia, the wonderful speakers and sponsors and last but certainly not least the attendees who helped create another thought provoking and exciting event. For more photo’s of the event, please visit our Facebook Page.